Joseph Gordon-Levitt's protestations over gay questioning: Get with the times! Time was, public figures who were the subject of gay rumors, like Tom Cruise, would sue to assert their heterosexuality. However, a younger generation of stars has found it's much easier to keep people thinking they might in fact be gay by saying nothing, or to declare just how flattered they are by gay attention. It's a way to split the difference between two very valid goals for the aspirant actor: seeming tolerant, and exploiting a fan base. But it's a process that's as likely to end up seeming a bit tone-deaf. Joseph Gordon-Levitt, the unusually theatrical 'The Dark Knight Rises" star currently promoting his film "Don Jon," sat for an interview with Out magazine. 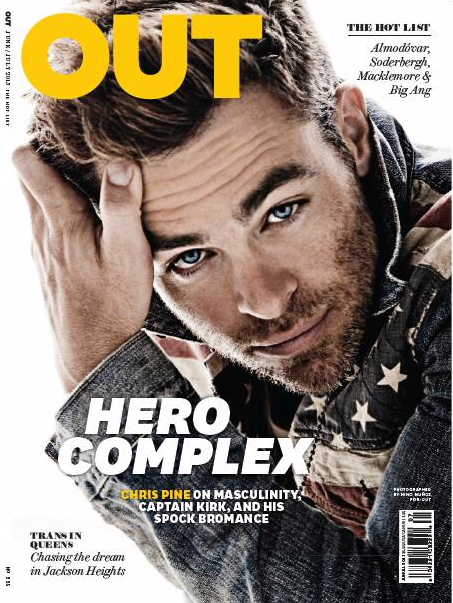 Ostensibly heterosexual actors posing for the gay publication is hardly a new phenomenon -- it's a friendly outlet for not-quite-Tom-Cruise-level-of-fame straight stars about whom there are no gay rumors. All of these actors would like access to an audience ready to objectify them. One doesn't have to be gay to know that gay fans can move a career along, particularly in a Hollywood environment charged with pressures for male stars to bulk up and strip down. However, in spite of his willingness to put himself on display in a photo shoot and by giving a journalist access, Gordon-Levitt refuses to comment as to whether he's straight or gay. "That would be really tacky — they would win if I had to clarify,” he says. While he's speaking of paparazzi, he also won't clarify to the reporter. It's Gordon-Levitt's right to say whatever he likes about his personal life, but in declaring that clarifying if he's straight or gay is "tacky," he's effectively condemned any celebrity who's chosen to clarify their sexuality -- including the many actors who've recently come out of the closet. Wentworth Miller, the actor who, years after his TV fame, declared he was gay after having declined an invitation to Russia, now exists on a continuum of "tackiness." The "they" Gordon-Levitt's fighting aren't just intrusive paparazzi -- and "their" curiosity isn't entirely pernicious. "Are you gay" seems a very fair question for a gay publication to ask the actor who's agreed to appear on its cover, particularly one who doesn't date women in a public manner. It's possible to thread the needle Gordon-Levitt's attempting. When decrying the climate of homophobia that makes a gay person less likely to succeed, Cory Booker acknowledged he was straight while asking why his sexuality would affect someone's vote. But to ask gay people to buy tickets to your movie while saying that acknowledging one's sexuality in a public manner is gauche seems strikingly out of step with the times. Gordon-Levitt's answer feels like the vestiges of a time, coming to an end, when alleging a heterosexual person was gay was considered libelous. He doesn't owe anyone anything, but he shouldn't presume that every inquiry is derogatory. In his doltish way, James Franco actually has Gordon-Levitt beat, announcing that he wishes he were gay, but is not; he's completely open about the degree to which he attempts to titillate his audience and doesn't seem appalled that people interpret his work or his photo shoots in one way or another. Similarly, Jake Gyllenhaal's declaration, while promoting his film "Prisoners," that the gay rumors around him are a "huge compliment" but that he prefers ladies, manages to compliment gay fans. What Gyllenhaal does not do is imply that prurient interest in Gyllenhaal as possibly gay is disgusting or weird or running counter to his desire to make art. It's unlikely that Gordon-Levitt will lose any fans with his remark, which seems precisely the point. Its having taken place within the context of an interview with a gay publication proves that he's not exactly homophobic. But his studiousness about just how offensive it is to be asked a personal question looks more like Tom Cruise than like James Franco. Which of those stars feels more in tune with the cultural moment? Which one, these days, has a career worth envying?